Explore surface tension by floating paper clips on water, then breaking the surface tension with detergent. By carefully lowering a paperclip onto the surface of the water, it will float. 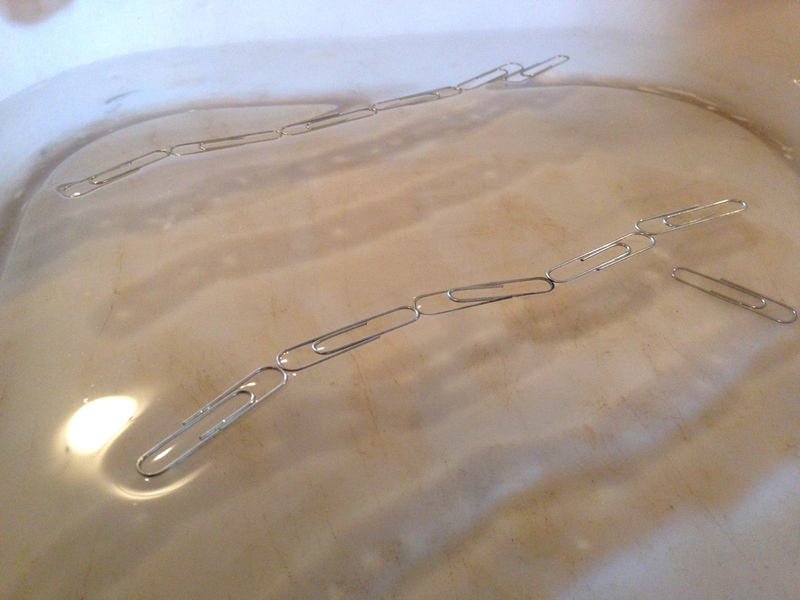 If you are having trouble, use another bent paper clip to lower it onto the water surface. 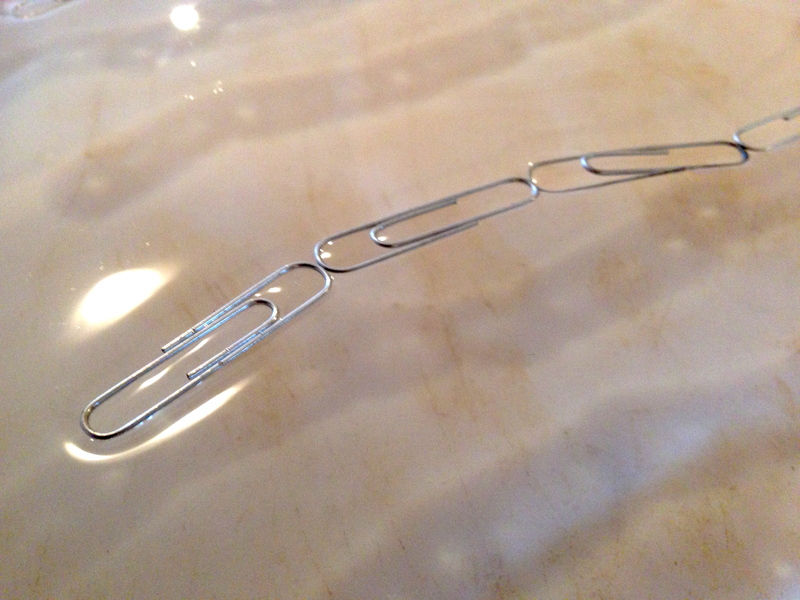 Remove the bent paperclip from underneath once the other one is floating. How many paperclips can you float at once? They will tend to attract each other. Dip the toothpick in the detergent, then dip it in the water next to a paperclip. The surface tension will be disrupted and the paperclip will sink. At the surface of water, the water molecules attract each other relatively strongly so are pulled inwards. This gives water droplets their round shape, as well as making the surface of water behave as if it has an elastic skin. Light things are held up by this skin, such as water striders, and paperclips. Detergent molecules interact with the water molecules and reduce the surface tension of the water. Hence the surface of the water is no longer able to hold up light objects.